his conference explored the myriad encounters which have taken place between Iranians and Russians since the early nineteenth-century up to the present. It included some discussion of diplomacy and foreign policy but a central objective of the conference will be to widen the scholarly perspective to incorporate an understanding of other types of encounter, whether political, economic, social, cultural, or intellectual, and both friendly and hostile, especially as these developed beyond the official and elite levels. In particular it attempted to understand the complexities of the impact on Iran of the Russian presence on its northern borders: the very expansion of Tsarist empire during the nineteenth-century threatening Iran’s independence yet bringing ideas of social-democracy to its doorstep, the Soviet Union in the twentieth century similarly contradictory in its effect, sustaining a version of radical Iranian politics while advancing its own strategic interests. The conference concluded with some consideration of the current state and likely future trajectory of Iranian-Russian relationships. 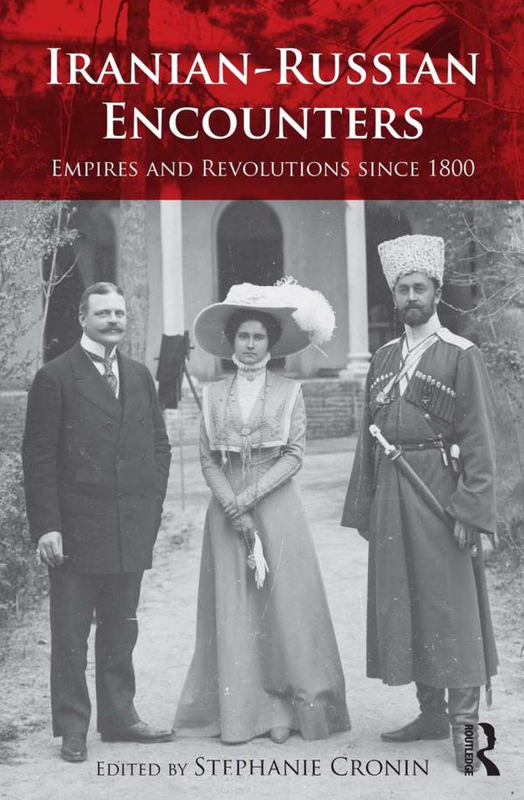 The proceedings of the conference was published by Routledge in 2013 entitled ‘Iranian-Russian Encounters: Empires and Revolutions since 1800‘, edited by Stephanie Cronin. The collection provides a fresh perspective on traditional preoccupations of international relations: wars and diplomacy, the hostility of opposing nationalisms, the Russian imperial menace in the nineteenth century and the Soviet threat in the twentieth. Going beyond the traditional, this book examines subaltern as well as elite relations and combines a cultural, social and intellectual dimension with the political and diplomatic. In doing so the book seeks to construct a new discourse which contests the notion of an implacable enmity between Iran and Russia. Convened by Dr. Stephanie Cronin, Lecturer in Iranian History at the Faculty of Oriental Studies, at the University of Oxford, and a member of St Antony’s College and has authored several books, including ‘Shahs, Soldiers and Subalterns’ (2010); ‘Tribal Politics in Iran’ (Routledge, 2006); and ‘The Army and the Creation of the Pahlavi State in Iran, 1910–1926’ (1997).